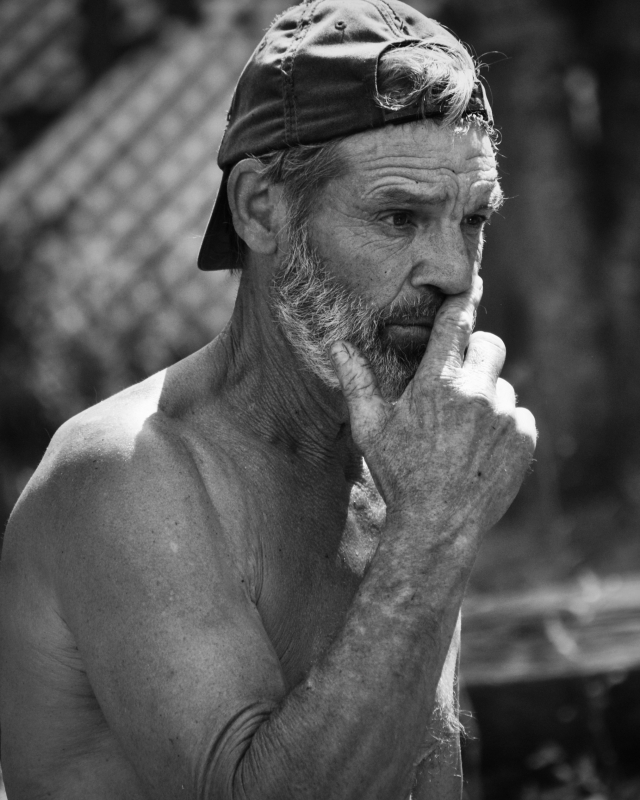 This man worked caring for the home next to some friends at Lake Oconee in Georgia. I was taking photos of my friend's dog playing in the water when this man came and talked to us. He was so interesting looking. He thought I was photographing the dog but I started photographing him. I took other photos of him, but I loved this one. He seems so deep in thought about something personal and important.